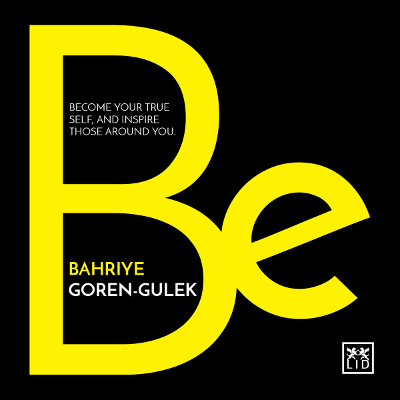 Categories: Bahriye Goren-Gulek, Business, Self-help. What is it about certain individuals that inspire not only themselves but also the people around them, organizations, and even whole nations to be more creative, innovative and transformational? The core premise of the book is geared around the idea that inspiring leaders are not only successful because of what they do. It is primarily because of who they are. A certain sense of being that comes with deeper levels of awareness, which turns ordinary people into inspiring leaders. Whether you are a CEO, a director, a student, a parent, or merely someone who wants to inspire and make a positive difference in the world, reaching deeper levels of awareness is what will help you make that difference. A manual for being more creative, innovative and leading successful change in your company. ● A must-have book for managers of all levels, and team and project leaders, in large and small companies. ● Innovation and change are key advantages to develop in business today. ● Based on the author’s real-world, practical experience – provides tools, strategies and know-how. Bahriye Goren-Gulek is a brand strategy expert with 15 years of global experience, both on client side with Unilever and on agency side where she has consulted world class multinationals across the globe. As the former Executive Director Innovation and Strategy at Wallace Church & Co., an award winning branding agency in New York, she has worked with the most talented creative and brand leaders. She is a university lecturer at the graduate and undergraduate level at business schools in New York, Colorado, Singapore and Taiwan. She lives with her husband, son and their dog in Boulder, Colorado.